Paris is a special city in the world - risky claim, I know. It's a place forgotten by time, but still functioning as a modern Alpha city. A city of nuance and contradiction, it's hard to be wishy-washy on it. I have been to Paris several times before, but have always felt lukewarm, if not disdain for it. Maybe it was the muggy summers, or the broken foot I walked for miles from the canals to the famous Tower, but I never truly saw Paris for what it actually is. My husband, on the other hand, loves Paris. He loves Paris like I love London or Budapest. He sees only the good, or maybe chooses to only focus on it. This is our third time together in Paris, and I made a concerted effort to see it through his eyes. We chose to return to Paris following the aftermath of my sister's passing in October partially because it was in Paris where we learnt the tragic news, and I felt it was needed to regain some semblance of normality. And so, I took these past two months to heal and to see the world through my husband's optimistic eyes. I will never feel the same way about Paris as I had in the past. I see it now. I understand it. I appreciate it. I am pleased to share a selection of my favourite images from the past two months. Each of these images was created in effort to see Paris in a new way - for me. There were a lot of emotions felt the past months, and I hope my images of this complex city reflect that. 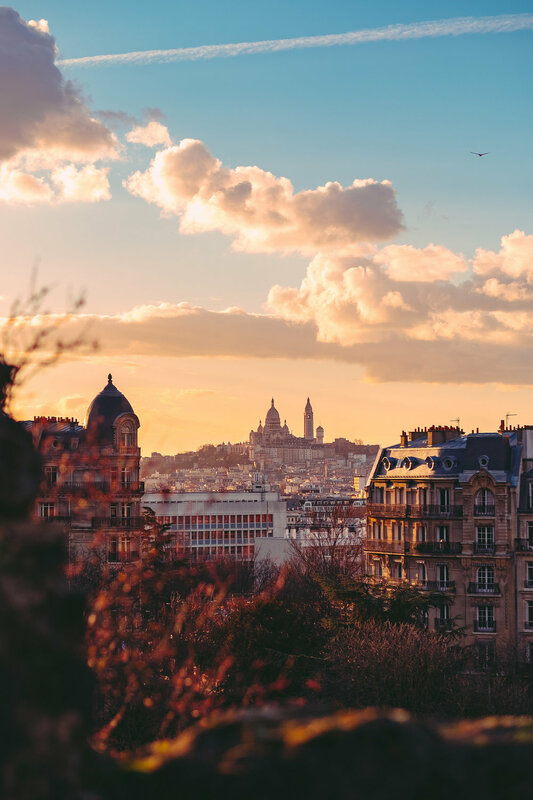 'Sunset over Montmartre' is now available for sale as a limited edition through Fujifeed Prints. Click the image to purchase.